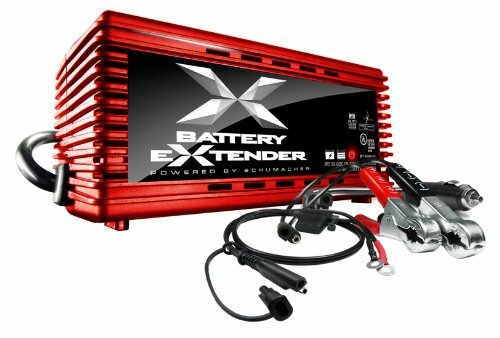 Schumacher’s SP1 Battery Extender is a universal 2/4-ampere automatic charger for 6- and 12-volt batteries. This charger uses microprocessor-controlled technology with multi-stage charging for added precision, safety and battery life. Auto-Voltage Detection will automatically select the battery voltage. The SP1 charges your batteries up to 3 times faster than competing chargers.